Find the server blade that fits your budget. This one processor option is configurable for up to two processors and 512 GB of memory. Configure additional storage, management, and support options in the configurator tool. This ProLiant Gen9 BL460c built-to-order server blade option comes with the best performance per cost for converged data center environments. The Gen9 models come with an improvement in performance with the Intel v4 processors and DDR4 HPE SmartMemory. This part comes with one processor installed but a 2nd is available in the configurator. Deliver flexible storage controller options with an embedded and PCI option. Manage all your infrastructure as code with HPE OneView. 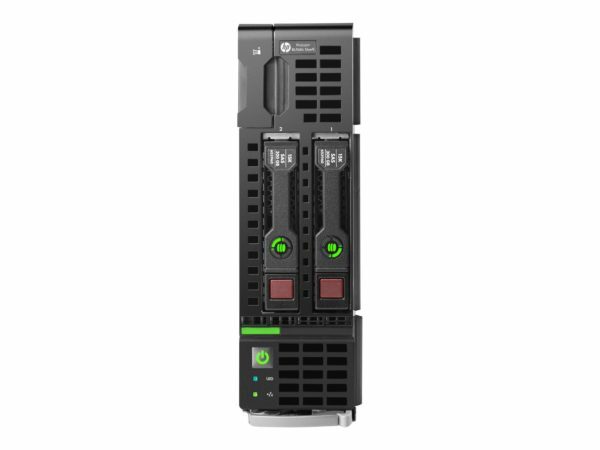 Partnering with Hewlett Packard Enterprise and their ProLiant server line is a guarantee for success. With the bragging rights to the world’s number one selling server and a world-class support experience, HPE takes care of customers at all stages of the technology procurement cycle. Contact your Rack Simply representative to learn more.